Ponte Knit Drawstring Pullovers by Kal Rieman are all about comfort. Made in America of tightly knit 60% rayon/33% nylon/7% Lycra for a great combination of stretch shape-retention wrinkle resistance and washability. 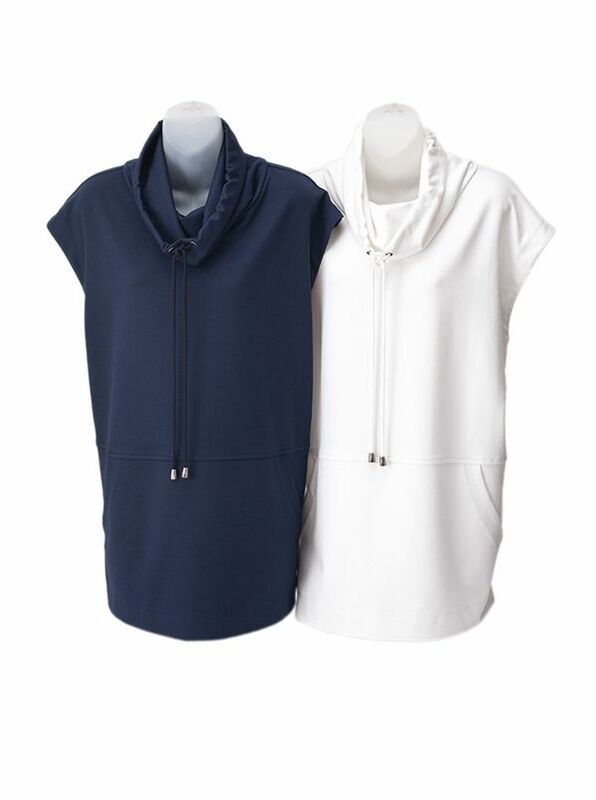 With drawstring neck cap sleeves kangaroo pockets.